We would like to dedicate this first new update as a tribute to Carl. 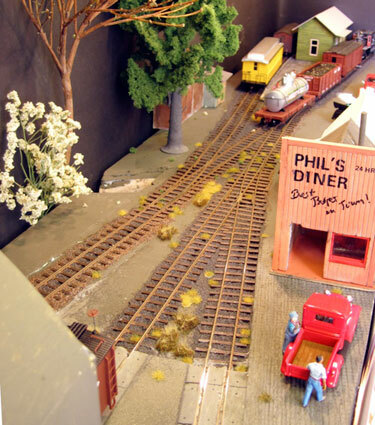 Carl’s contributions to the hobby are many and his inspiration can be seen in many of the layouts featured, not just here, but throughout the site. 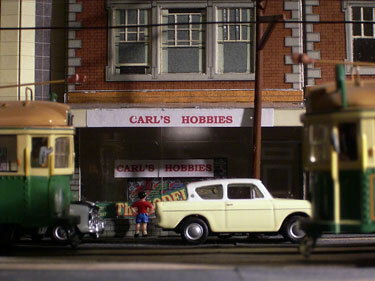 As we begin a new chapter in the life of this website, we hope to honor Carl by continuing his work, to share the world of small and micro layouts, for many more years. 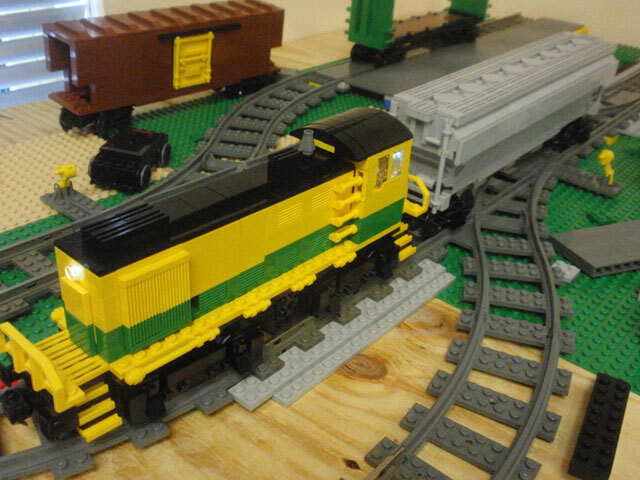 Jonathan Scott, from Hamilton, New Zealand, sent in a photo of a layout he was working on in February when Carl fell ill. In his words… “I have nearly finished it. You can see Carl waiting for the train on the platform. 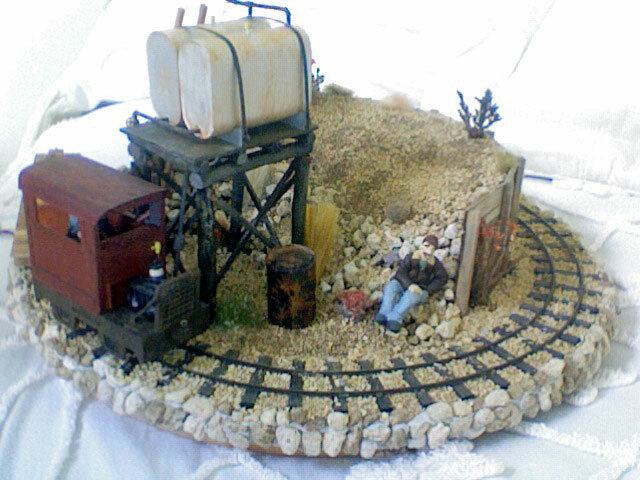 It is built on a table, about 6 inches in diameter, I found in a trash-and-treasure market in Cambridge.” The name on the station is “Arendtstone”. 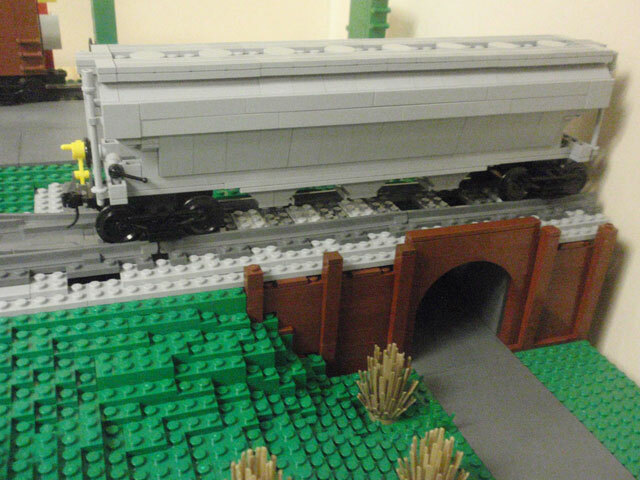 “While we’ve all seen the massive LEGO layouts constructed by adult fans of LEGO (AFOLs) at various train shows, there is a segment of the AFOL community that treats LEGO trains as model railroading rather than toys. We build for prototypical trains, layouts, or operations, just in a lower resolution medium than traditional scale modellers. “I spent the past year in Afghanistan as a helicopter pilot relegated to desk duty. I had some extra space in my office behind my desk and decided to build a small layout. Carl’s website was a regular stop for me as I developed my layout plan and I finally settled on a variation of Wyemouth for the most operation in my small space. Joshua Wolfe sends an update on a shoebox layout previously published in scrapbook 103a. The layout, called the Shire and Hobbiton Railway, is based on Carl’s “Carl’s Imports” track plan. The box measure’s roughly 1′ x 2′, and the scale is Gn15. 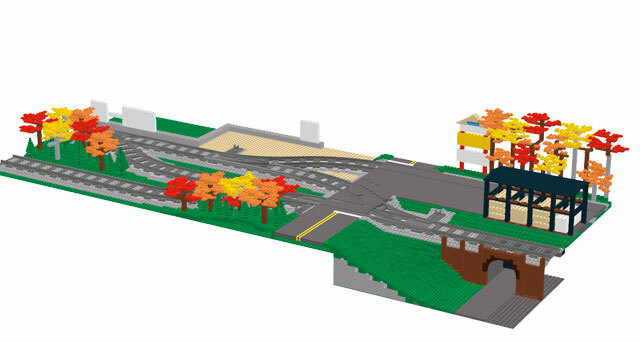 Joshua has added scenery and changed the track plan somewhat from his previous version. Gary writes: “The picture shows the Timesaver on the top, the Inglenook on the bottom with the passing siding in the center. Wiring is pretty simple for DC only. The sidings and tail tracks are separate blocks. The Timesaver is its own block as is the Inglenook, making 6 blocks total. I use the older Troller handsets for ‘A’ or ‘B’ control with an A-B power pack that I built. There are more cars on the layout than necessary for classic operation of the individual puzzles, because the puzzles are both run as if they were part of a larger system by using the sidings as the interchange tracks. Classic operation is possible too. The end pins on each track can be moved to the proper position for those ‘games’. An update from Glenn Corbett announces the new expansion of his Victoria Street tram/trolley layout. 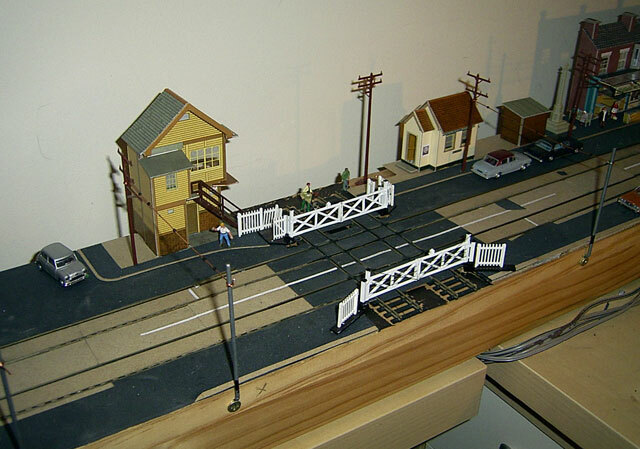 According to Glenn: “The layout has, in the few past months, turned the corner, literately, and now ventures off down Epsom Rd after crossing the railway on the same grade. The original ends of Victoria Street still serve their purpose, the railway station end still supplies punters to the racecourse end, but now with more trackage between.” For more work in progress photos, click here and here. Here is a video link showing the actual station, and a bit of history. Andrew Smith, from Chelmsford, Essex, England, sent in some photos of a new project he has been working on. 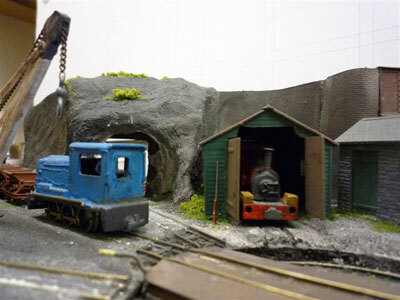 It is a 009 layout he calls Steephill Mine. He continues: “I made this as a challenge from my wife who had just bought a new pair of boots. The box measures 500mm x 300mm (just under 20″ X 12”). It had a lid that folded up and I had hoped to make this part of the back scene. In the end the lid was removed and had some sides fitted to make it the cover for the whole layout when not in use. The turntable is powered by finger (pushed or pulled) and is wired up to a DPDT switch the other switches that can be seen are on/off single pole. The small control panel is fitted inside the box as well, I plug a controller into a din plug at the back to supply power to the layout. One way we keep the hobby going is by getting the younger generation involved. 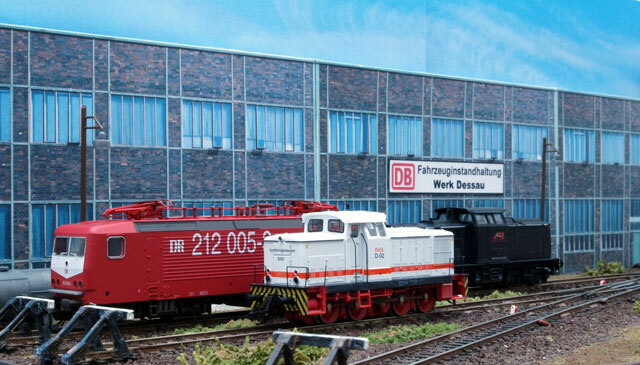 That is just what Joern Pachl, from Braunschweig, Germany, is doing with this layout he recently built. 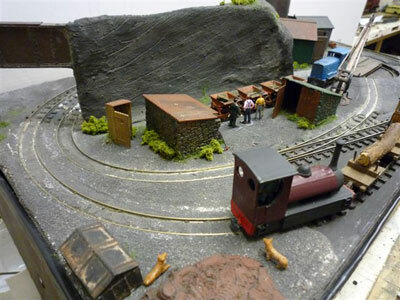 Joern writes: “The pictures show a small inglenook style shunting layout I built for my 11 year old son Gregor. 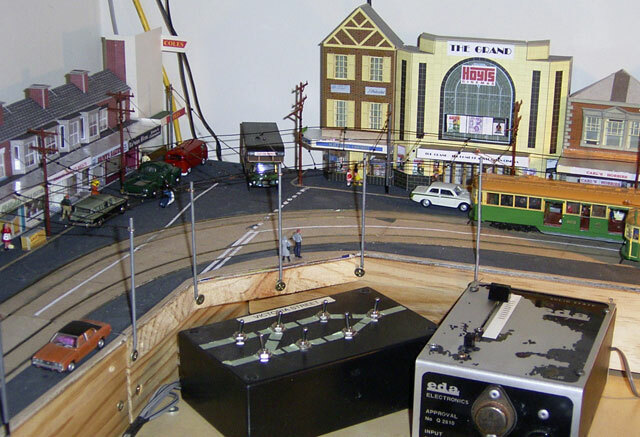 He started operating my small TT scale layouts at age 8. His favourite is the Drei Annen Hohne layout, which was featured in Scrapbook 67. 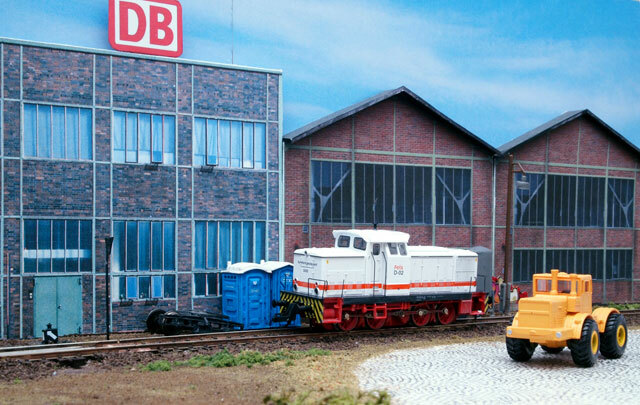 With that layout he easily spends hours doing shunting work. 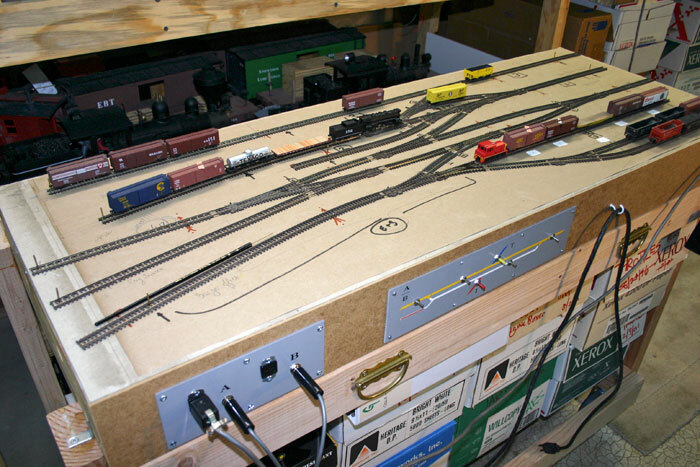 While having used TT scale Kato Unitrack for years to build his own temporary shunting layouts, he now wished to have a “real” layout of his own. “So, I built him a small layout by his ideas. 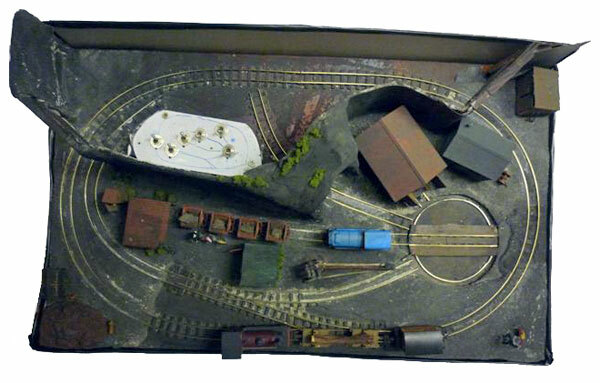 Since he loves locomotives, the idea of this layout is to show holding sidings of a locomotive maintenance plant. The inglenook tracks are used for arrival and departure of locomotives entering and leaving the plant, and for parking locomotives in different stages of repair. Instead of a train timetable, a maintenance schedule is established that provides the shunting work to be done. 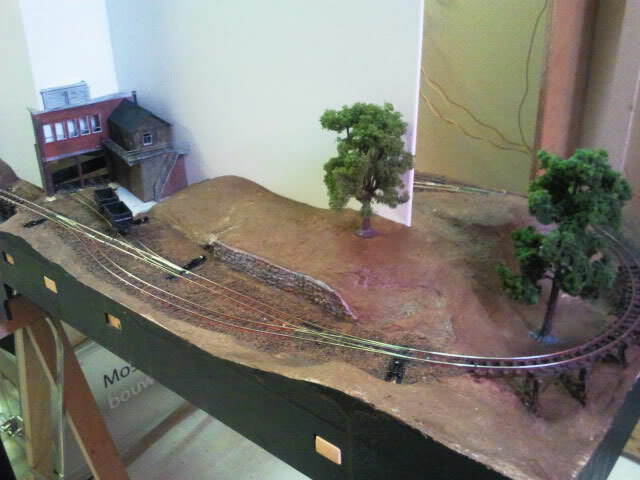 Thus, a lot of different locomotive may be used on this layout. Perfect when having a collection of locomotives but no room for a big layout. From time to time, goods wagons may also arrive to deliver materials for the plant. To avoid trouble with technical failures, the points are still equipped with over-ground drives. Later, Gregor may replace them by subsurface point machines. 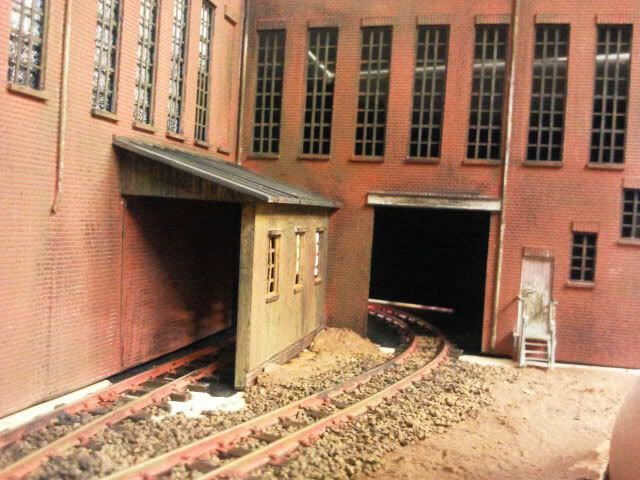 You can view more photos of how the layout was built here.